The promo code is available for booking from now until 28 July 2019, and applies to standard cars up to 5.4 m long, for return travel between 19 July and 4 August 2019. 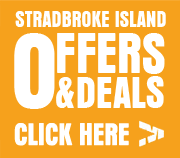 Stradbroke Island Holidays provides accommodation and ferry packages to North Stradbroke Island, and can assist you and your guests with your bookings. We can offer a range of different accommodation options suitable for couples, families or groups, ranging from resort apartments to cabins and holiday houses.